Consultant, entrepreneur, speaker and volunteer, Alex has been significantly involved in Corporate Canada as well as the Startup scene in Ottawa, Toronto and Kitchner/Waterloo. -He is the current COO of Simple Story, an award-winning video marketing and production agency that has produced over 1000 animation and live-action videos across several industries, from startups, to government, to Fortune 500 companies. -Alex is also a strategic adviser to ApplyBoard to guide and advise them on their digital marketing. -Alex is the Co-Founder and Co-CEO of AdmissionsConsulting.ca. -Freelance consultant for digital marketing, entrepreneurship and Digital Experience Platforms. Previously, Alex was an Executive at Accenture in its Digital practice. As part of Digital, Alex specialized in Digital Marketing, specifically Personalization, Marketing Analytics, Digital Experience Platforms & Program Management. He is also proficient in design thinking, agile and waterfall implementations, testing, and digital strategy. While at Accenture, Alex was also the Canada lead for the Indigenous Peoples Employee Resource Group where he led the ERG to win the 2018 CCDI ERG of the Year. Moreover, he sat on the Accenture Canada Diversity Council. In addition, Alex is also the co-founder of CampusRankings.com, Canada's leading resource for prospective university students. There, Alex was responsible for its digital strategy and implementation, managing company operations and leading its agile development. Along with his Co-Founder, they led the company to be acquired by Square Crop Studios Inc at a 415% ROI. As a result of his involvement in CampusRankings.com, AdmissionsConsulting.ca and Applyboard.com, Alex is considered an expert in the post-secondary education field in Canada, having been interviewed by many publications, including Globe & Mail, Yahoo Canada and Canadian Business. Alex is the COO and a board member at Simple Story where he is responsible for Simple Story's operations and project management. Responsibilities include creating and managing operational processes and policies, owning finances, supplier and freelancer management, managing project escalations, leading RFP's, and project oversight. Simple Story is an award-winning video marketing and video production agency. Founded in 2011, Simple Story has produced over 500 animation and live-action videos across several industries, from startups to Fortune 500 companies with varied clients such as Bell Media, CIBC, Shopify, Canada Council for the Arts, the International Labor Organization, Pitney Bowes, Citrix, Blackboard Inc., and the Government of Canada. Simple Story has been recognized by AgencySpotter for 2 years in a row (2017, 2018) as a top 20 global Content Marketing Firm, 2018 top 20 Video Production Agency, and by Clutch 2017 as top 20 Creative and Design agency. Provide strategic advice around digital marketing and consulting services while also attending the quarterly SAB meetings. ApplyBoard is an AI-enabled marketplace uniquely designed for students to apply to study at the best institutions of higher education globally. 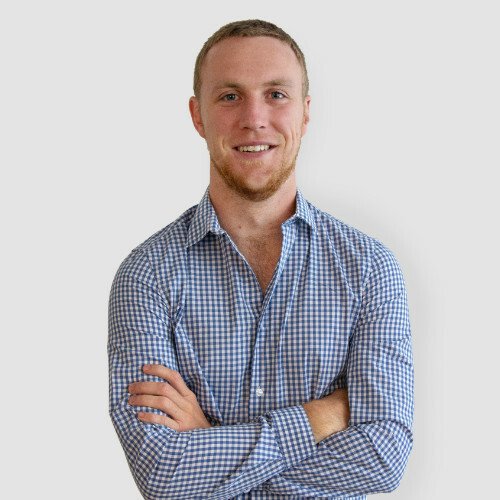 At ApplyBoard, Alex is responsible for providing strategic direction on operational processes, recommending & implementing digital marketing methodologies and tactics, and providing industry expertise to assist ApplyBoard with its impressive growth.